Our ISOFIX car seat base (included) is ultra-convenient and makes it easy for parents to get diddy drivers in and out of the car. If you’ve got ISOFIX anchors in your car (and nowadays most cars do), then just pop your Port 0+ car seat on and off your in-situ ISOFIX base. ISOFIX is minimal faff - just simplicity with a satisfying click that lets you know it’s fastened securely. Wow's the from-birth 3 in 1. Built by Cosatto – and parents. 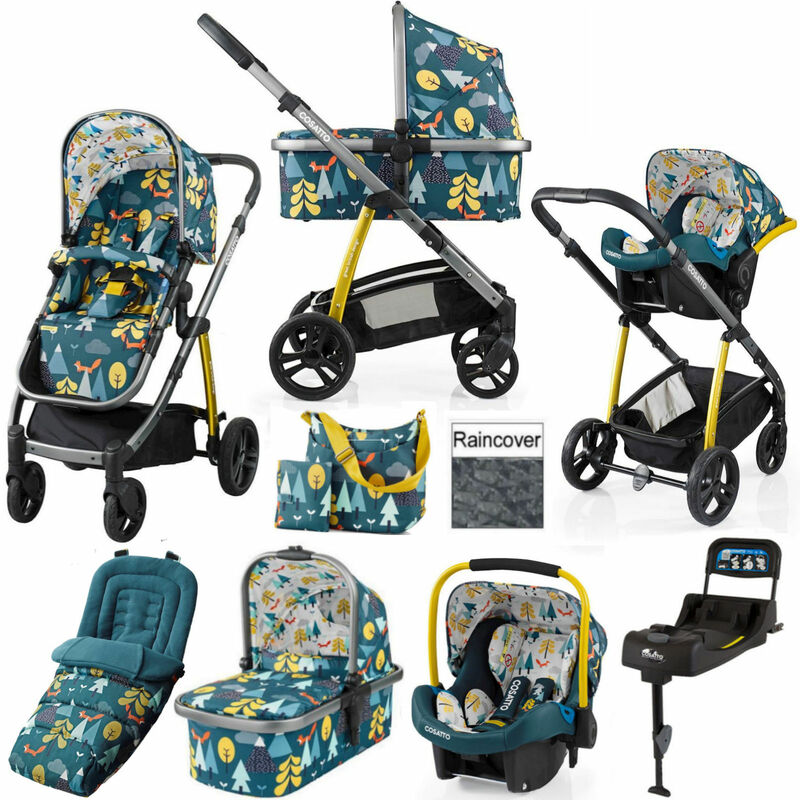 It includes chassis, carrycot, parent & world facing seat unit, raincover, 0+ car seat, Isofix safety base & coordinating footmuff and changing bag.